The Centre for Archaeology, Technology and Cultural Heritage (CATCH) is a multi-disciplinary centre that brings together researchers from across the University of St Andrews. The Centre promotes research into all aspects of past human activity from across the globe, with the aim of making our research accessible to the widest audience as possible. The Centre brings together arts and sciences in order to investigate how humans have been influenced by, and changed, their environment. The Schools, Departments and Units involved in CATCH are: Art History, Classics, Computer Science, Earth and Environmental Sciences, Geography & Sustainable Development, History, Museum Collections Unit and Social Anthropology. 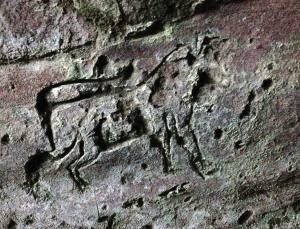 "Digitising cave art will prevent it being lost forever"